Got plans this Tuesday evening? What about Saturday then? Do you enjoy checking out new great bands that make you want to move? This Tuesday and every Tuesday Beacharang is held at Harmonious Monks at Jacksonville Beach. And every Saturday at the same venue Bangarang is held. Both events share the same common goal of showcasing underground “future-focused” music to the city of Jacksonville. “Music changed my life. My favorite part about all the events as a whole is the chance that it may do the same for somebody who attends”, said Matthew “Connor” Dworschak, founder and co-owner of Bangarang events. The mind behind both events is Dworschak, a 28 year old Jacksonville native who aspires to provide a house for music and music lovers of all kinds to coexist within. Both events are 18 and up and are free to those who are 21 and up. Between the two, there have been a total of about 370 to 400 different shows brought to Jacksonville over the past 4 years. “We believe consistency is the key to a solid music scene so we don’t intend on taking any breaks or missing any beats…every week!” Dworschak said. There is a full calendar of music artists slated to play all year and an end for these events is nowhere in sight. The Beacharang event held on Tuesday’s is all about live music that features bands from several different genres, from progressive rock to hip hop and everything in between. “The sound we look for in a band I would say [is] that it definitely all makes you want to boogie!” Dworschak said. Some of the national touring bands that have stopped in for Beacharang include Flat Land, Sunsquabi, Bells and Robes, and several more. 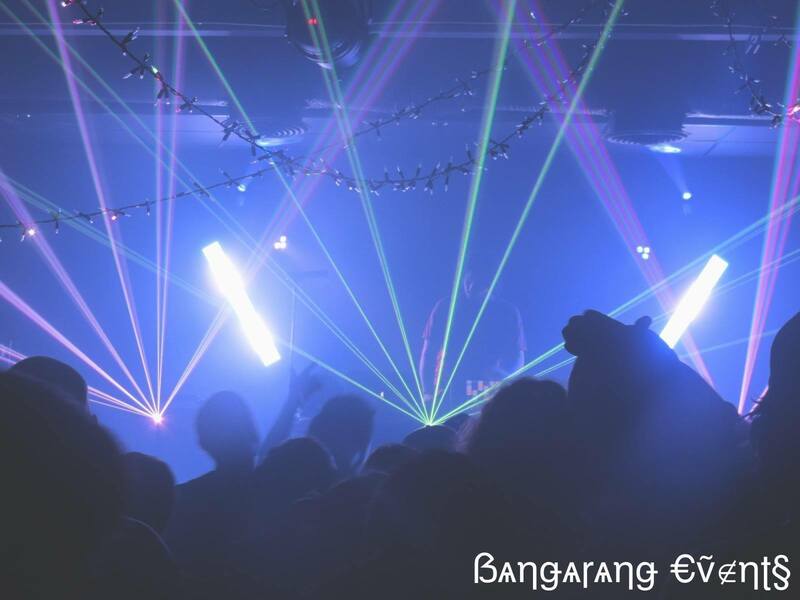 Bangarang, held on Saturday’s is all about showcasing underground bass music. “We pride ourselves on being the ones to introduce Duval to the DJ’s before they blow up”, said Dworschak. Producers like Meaux Green, Earthcry (Papadosio’s Anthony Thogmartin), and Astronomar have displayed their talents for Jacksonville through Bangarang and many more are slated to hit the stage this year. As the events grow in popularity, they continue to provide a place where “people can just be themselves and vibe with both like and different minded people without any pressure,” said Dworschak. The venue sets on 1st Street right across from the ocean and due to Dworschak’s consistency in bringing new music to the scene, it is contributing to the local sub cultures that exist within the surrounding communities. If your interest is music or just busting a move with some friends head out to Jacksonville Beach to catch one of these two events that takes place every single week. As the city itself grows, so does the access to great music. Zach Deputy, Yo Momma’s Big Fat Booty Band, and Kung Fu are just a few artists that will be at Beacharang in the near future! Don’t miss out! Although we had a great time having Beacharang & Bangarang at Harmonious Monks Jax Beach, we no longer host this event. You can still enjoy Beacharang & Bangarang at Bluewater.